of innovation and improvement. Our people are the secret to our success. 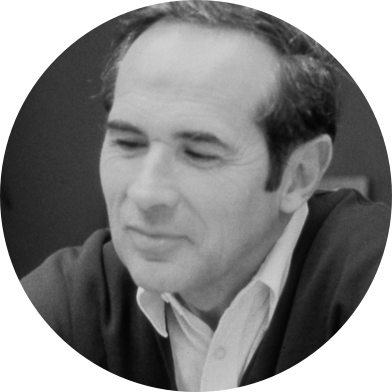 Beacon Metals was founded in 1966 by John Riches. Just before the founding of Beacon Metals John worked for Buehner block. 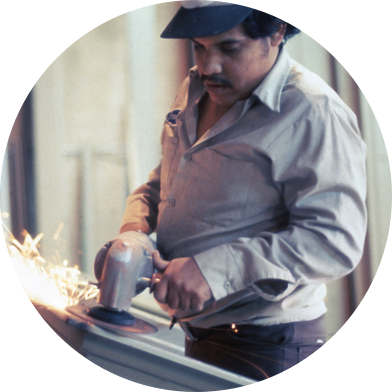 Part of his role at Buehner block was working with window bucks and metal doors. The Buehner family decided to focus solely on their core business of bricks and blocks. John was offered the opportunity to purchase the window buck and commercial division from the Buehner’s. Beacon Metals was founded from that beginning. The name Beacon Metals was chosen because, at the time, one of the founders lived on Beacon Street and they felt that the name Beacon would put them at a higher spot in the Phone Book. Beacon Metals started with offerings in aluminum doors and windows, commercial hollow metal doors and frames, as well as shower enclosures. Over the years Beacon Metals has grown to offer wood doors and several different premium lines of door hardware. Beacon Metals leased office and warehouse space in a few different buildings throughout South Salt Lake. Because of the sustained growth, Beacon Metals purchased and built our current facility on West Temple in 1986. 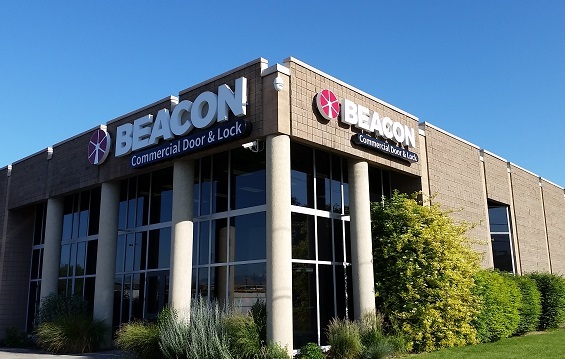 In 2017, Beacon Metals was renamed Beacon Commercial Door & Lock to better reflect our improvements and the expansion of services and products we offer. Our legacy lives on and our future is bright as we seek to continue innovating the way we serve our customers and meet their needs. As the industry continues to evolve you can be sure that Beacon will be at the forefront in providing you with solutions.